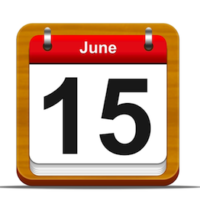 For taxpayers living overseas, the deadline to file your 2017 taxes is Friday, 15 June 2018. To ensure your return is filed on time, please send me your documents NLT Friday, 8 June 2018. This entry was posted in Taxes by Attiyya. Bookmark the permalink.